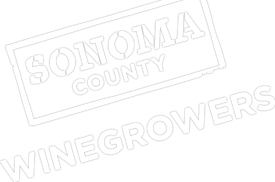 The Sonoma County Winegrape Commission and the Sonoma County Grape Growers Foundation are sponsoring an Employee Development Program workshop in Spanish on Vineyard Pest ID and Monitoring of Key Insect Pests for Vineyard Employees. The workshop will be held on Saturday, July 19, from 8:30-11:30am at the UC Cooperative Extension office located at 133 Aviation Blvd., Suite 109, Santa Rosa. There is no charge to attend. Lucia Varela, IPM Advisor with UC Cooperative Extension, will lead this workshop in Spanish. Vineyard employees will incorporate the Code of Sustainable Winegrowing guidelines into their practices. The class will be a two hour classroom lecture followed by a monitoring practice session in the vineyard. Please see the attached flyer for more information. Please see the attached flyer for registration form and directions.